-Integrated spark test function, no signal generator is needed. The CDI is made by 2 modules; the voltage converter and the timing circuit. 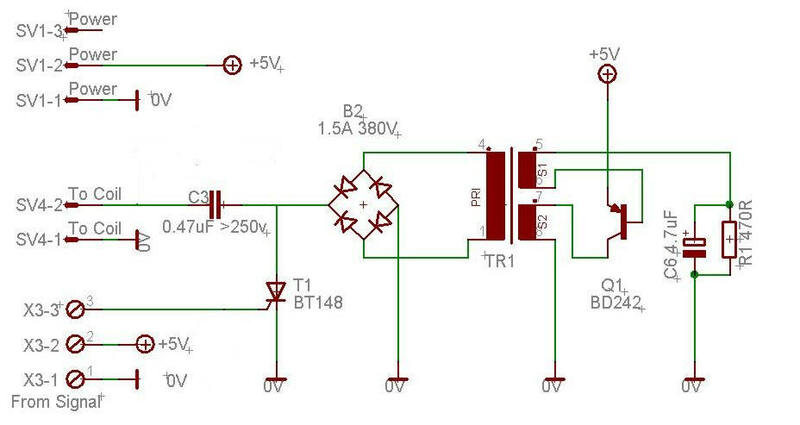 It is best to make the timing circuit first, to have access to the test function when making the voltage converter. Based on a free running oscillator, it has a very low part count, and make 200-200 volts available for the coil. 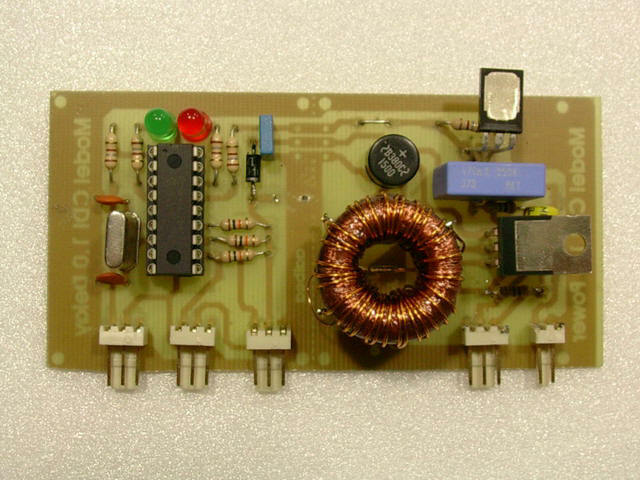 It uses an ferrite core from an old computer as base for the voltage converter. 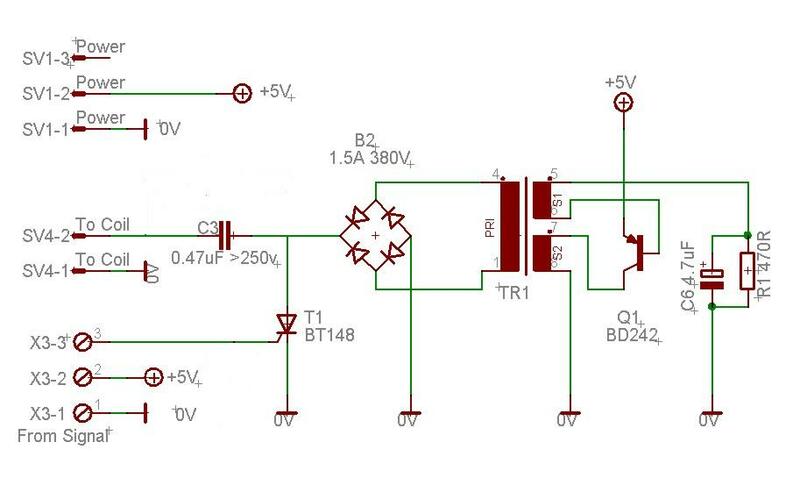 A description of how to make the transformer is here. Please check out Transmic's pages, a lot of useful information there. A lot of different coils is tested, and it is even possible to make a homemade coil. 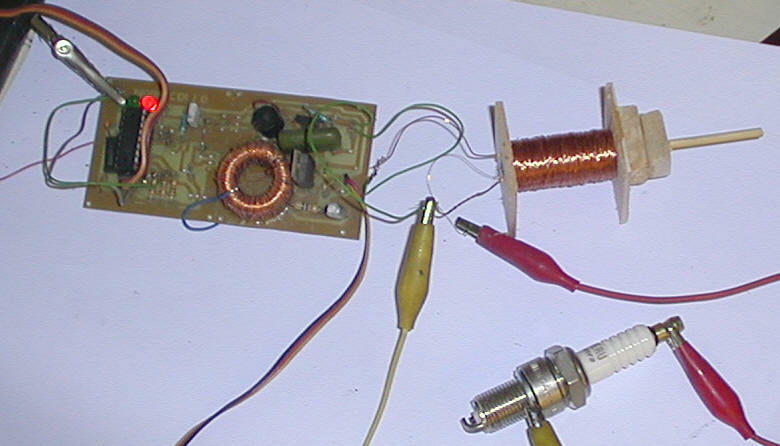 This page has a full description of how to make a coil. 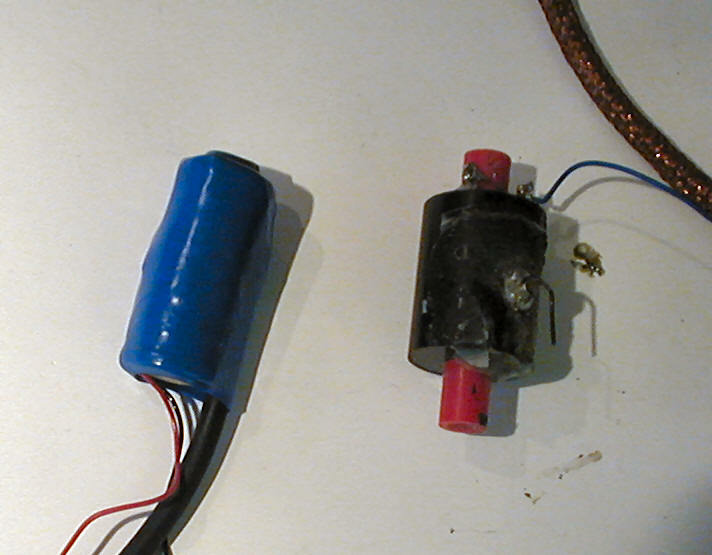 And on this page, you can see how to modify the original magneto coil. 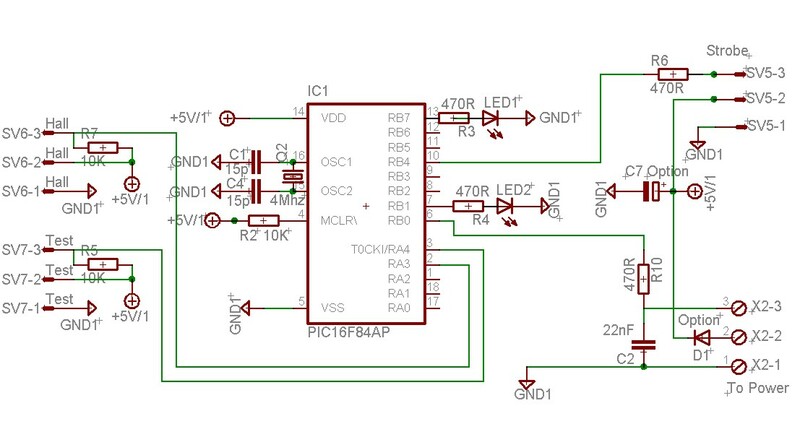 Ground pin 3 on the Servo input before power is connected, and the CDI will start to generate sparks at a rate of 4 or 140 pr. second. The rate is controlled by grounding pin 3 on the trigger input. The CDI will stay in test mode until power is disconnected. Short video of the CDI running in test mode. 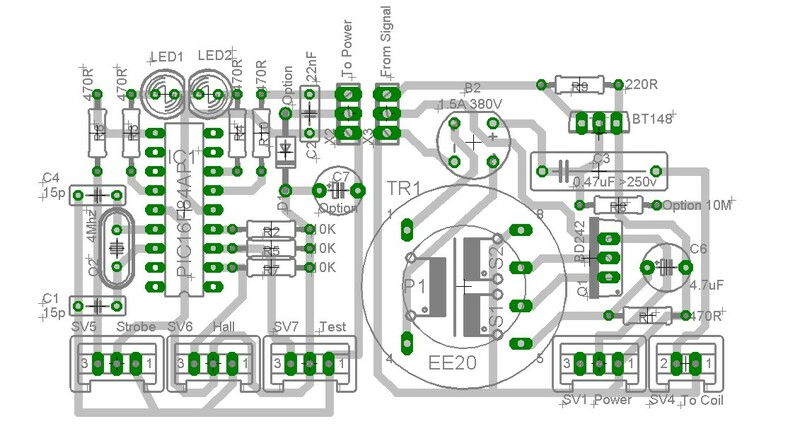 The schematics and PCB is made by Jorge M. Barrera. The CDI project is developed by Jorge M. Barrera and me. Last update 02.18.2008 . The old CDI pages is here.